What should you consider when sports programs for kids? The number of sports programs available for kids has grown significantly in recent years. Children now have the opportunity to participate in Little League baseball, youth soccer leagues, community basketball, competitive sports and school sports. With the wide variety of opportunities available, choosing sports programs for kids it can be difficult. Here, 5 things to consider when picking a sports program with your child. First, examine why you want your child to participate in sports. If you are pushing the idea but your child does not want to, try to find another way for your child to stay active. Competitive sports can be stressful, especially if the child does not want to be there. The chances of any child becoming a star high school, college or professional athlete are very slim. Sports can help children develop lots of skills, but your focus as a parent should not be on winning. There are many other, long-lasting benefits from participating in team sports that have nothing to do with winning. The age of your child is a consideration for what sports program you choose. If your child is younger, they may just be looking for a way to have fun and make friends. Look at a less competitive option, like community leagues. Even older children benefit for less competitive programs- they will still be receiving the benefits of physical fitness. Talk to your child about what they are looking for. They will probably have a strong idea of what they are looking for, and working together to choose a program will be beneficial in the long run. 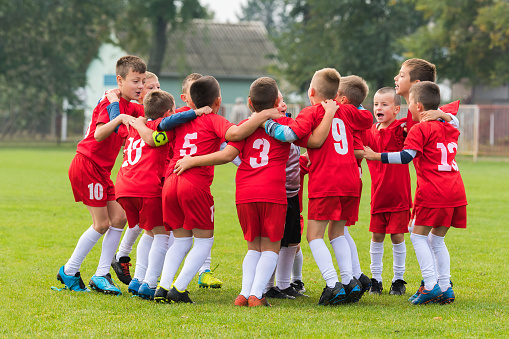 Team sports are a wonderful way to boost self-confidence, teach the importance of teamwork and contribute to overall fitness, but there are many ways for children to be fit and active without contributing in a team sport. If you are looking for creative ways for your kids to stay active, consider trying KIDS yoga! Kids yoga at KareBoost Health is open to all kids over 8, and is a fun, creative and non-competitive way for kids to build strength and stay active and flexible. It is a great compliment to the young athlete, and a perfect class for the beginner. We also have fitness coaching where we can work with your child to learn different types of exercises that they can do at home and stay active. 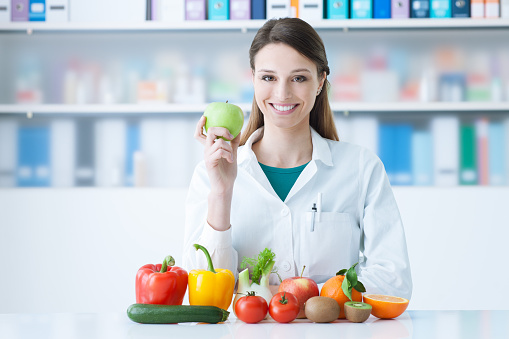 A registered dietitian nutritionist, or RDN, can help you navigate through the often murky waters of nutrition information, provide easy to follow advice, and further educate you and your family about nutrition and a healthy diet. Here are 5 things you might know about a registered dietitian nutritionist. All RDNs must hold bachelor’s degrees, and in addition, must fulfill a specially designed, accredited nutrition curriculum, complete an extensive supervised program of practice, and pass a rigorous registration exam. The Accreditation Council for Education in Nutrition and Dietetics establishes the standards for education and registration. Roughly half of all RDNs and RNs also hold graduate degrees. It is easy to find nutrition advice, however, finding advice that actually works for you can be challenging. Let a professional do the work for you, and help you sort through the myriad of advice and information that is available. A RDN will be able to help you formulate an eating plan unique to your dietary needs and your lifestyle. If you have high cholesterol, high blood pressure, diabetes or cancer, nutrition can play an important part in keeping you healthy, but it can be difficult to know what to eat. Registered dietitian nutritionists can review your lab results with you and provide education about your condition and the nutrients that affect it. They can also help create an eating plan that helps you better mange your condition. A Registered Dietitian Nutritionist Can Help With Allergies. If you suffer from food allergies, sensitivities or intolerances, it can be difficult to navigate grocery store. You may feel overwhelmed by the foods you cannot eat, and may even be deficient in nutrients if you are sticking to the same, boring foods. An RN or RDN can help you decipher food levels, teach you creative food substitutions and enrich your diet with new foods and recipes. Fad diets that promise quick weight loss are appealing, but they rarely work for long. An RDN can help you create a safe, effective weight loss plan that is realistic and includes foods you like. Deprivation rarely leads to success, but tools like meal planning, grocery shopping, food journaling and mindful eating can help you achieve long term healthy weight loss. If you like to learn more about what a Registered Dietitian Nutritionist can do for you, KareBoost Health offers a full range of nutrition services with a pediatric RDN who can help both nutrition problems for children and adults and for the whole family. You’ve probably heard of probiotics, but what about prebiotics? Here, we will explain what probiotics and prebiotics are, and how they can lead to better gut health. Probiotics and prebiotics exist in supplement form, but they are widely available in an array of common, every day foods. Probiotics are active, live cultures just like the bacteria found in your gut. They help to replenish and change intestinal bacteria to balance gut flora. They may help to boost immunity and general health, especially GI health. 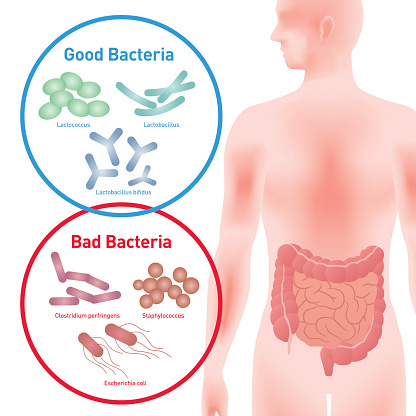 Strains of probiotics have been used for management of Irritable Bowel Syndrome, Infectious Diarrhea and Allergy Symptoms. Prebiotics are the promoters of probiotics! They are natural, non-digestible food components that are linked to the promotion of good bacteria in the gut. Prebiotics may improve GI health as well as increase calcium absorption. Fermented foods are often rich in probiotics. Fermented dairy foods include yogurt, kefir and aged cheeses. For the lactose-intolerant or those who prefer to limit dairy, good sources of probiotics include sauerkraut, kimchi, miso, tempeh and non-dairy cultured yogurt and kefir. Foods rich in prebiotics include bananas, onions, garlic, leeks, asparagus, artichokes, soybeans and whole-wheat foods. Prebiotics and probiotics work synergistically, and if you examine foods that have been traditionally fermented, such as kimchi, tempeh and sourdough bread made from a sourdough starter, you will see perfect examples of combining probiotic and prebiotic foods. Tempeh combines soybeans with the probiotics of fermentation, and kimchi often includes garlic in the recipe. More examples include bananas with yogurt or sauerkraut on a whole wheat sandwich for a similar effect. Foods that combine probiotics and prebiotics are referred to as synbiotics and can be greatly beneficial for overall health, especially gut health. Come work with Dr. Karen Leibowitz on your gut health through medical coaching. Trying to avoid food traps but keep getting stuck? Food traps are situations and places that make it difficult to stick to your healthy eating plan. We all have to avoid food traps everyday, and here are some tips on avoiding common food traps. It can be difficult to stick to your regular diet while on vacation, and that’s ok. Try to plan time for physical activity, like walks or swimming. If you can, plans meals and try to balance restaurant meals with healthy snacks that you bring or buy. If you are staying in a place with a mini-fridge, take advantage and bring fruits and vegetables to snack on. Holidays often center around food and can make healthy eating difficult. Remember that they usually only last one day, and you will return to healthy eating the next day. Pick one food to indulge in, perhaps a holiday favorite, and make the rest of your plate fruit and vegetable centered. Running out of time to prepare and eat healthy meals is a food trap for many. Remember, healthy does not have to be complicated. A vegetable sandwich and fruit are a perfectly healthy lunch. Try to prepare healthy meals when you have time that also yield leftovers, and always have cut fruits and vegetables handy for easy snacking. Snacks can contribute to poor eating habits, but they can also be an opportunity to add in missing nutrients. Instead of eliminating snacks, provide healthy snacks like fruit, vegetables, nuts and low-fat dairy. 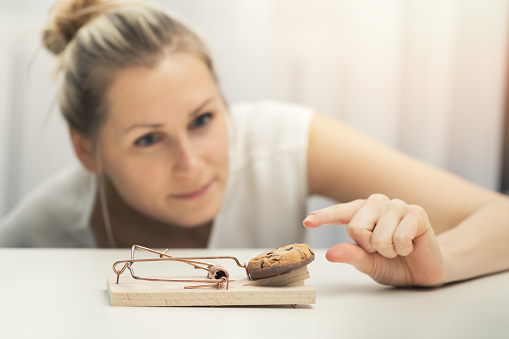 The more you learn to recognize food traps, the easier it will be to avoid food traps, Consider working with a health coach to identify your pitfalls and come up with helpful solutions that will help you. Healthy eating can be balanced with fun and social activities- it just requires a plan! Does your child have trouble sleeping after a divorce? Every year, more than 1 million US children experience the divorce of their parents, and shared custody and traveling between 2 homes can make it difficult for kids to maintain a consistent sleep schedule. Sleep problems can include everything from thumb-sucking and bedwetting in younger children, and insomnia and oversleeping in older children. Here, we will discuss three ways you can help your kids overcome sleep problems after divorce or separation. What to do if your child has trouble sleeping after a divorce? Double Up! To maintain a consistent routine, keep duplicates of favorite bedtime toys, books or music at both homes. This will make traveling between homes easier, and prevent problems due to haste or forgetfulness. Communicate. In order to make the transition easier for the child, both parents must communicate with each other. Set ground rules regarding bed times and other night routines. Children who experience two vastly different situations regarding sleeping in two different homes will not be set up for a consistent sleep schedule. It might take very close teamwork to make this happen. Talk to your pediatrician. If problems persist, especially once the living situation has stabilized, talk to your pediatrician or consider working with a support group. Maintaining a consistent sleep is as important for healthy kids as it is for adults especially if your child has had trouble sleeping after a divorce. KareBoost Health offers Kids Yoga, which is a fun, movement based yoga class specifically for kids. Yoga is a great way to move and reduce stress, which can help with better sleep.